As we leave January and head into February in the garden our Hellebores are just peaking out from the cold dark days of winter. Hellebores are a fantastic plant for winter interest in the garden. These lovely perennials come in many color combinations and do well in our area. 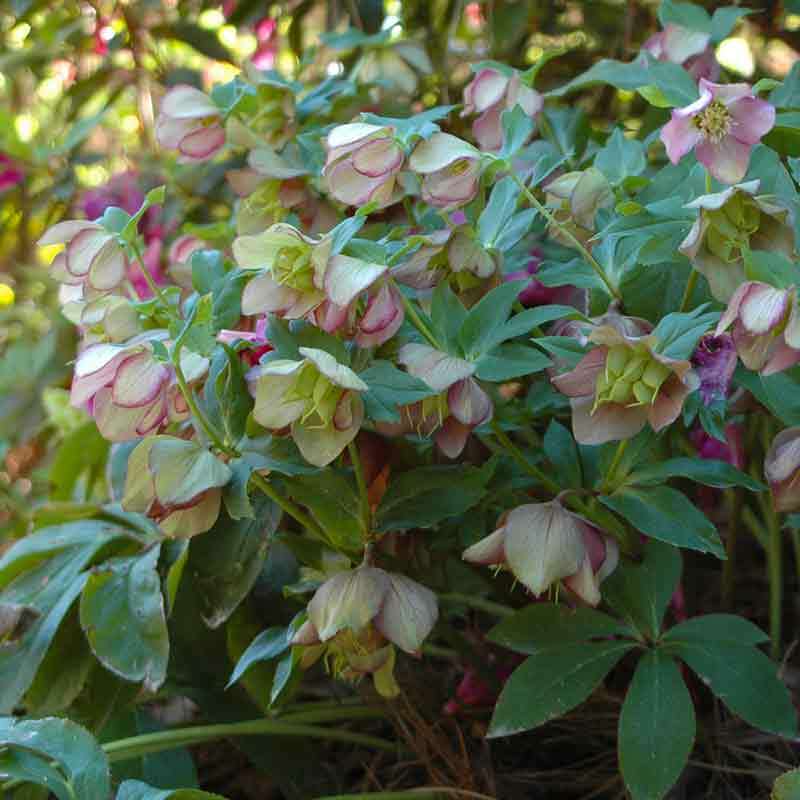 Hellebores require little care other than a partially shady, well drained location. In the WRAL Gardens we’ve had good success with Helleborus argutifolius ‘Snow Fever’, Helleborus x nigercors ‘White Beauty’ and the classic Helleborus orientalis. Most Helleborus reach a height of 12″-15″. For a taller variety look toward Helleborus foetidus the Bear Claw Hellebore which can reach up to 24″. Once established these evergreen perennials are drought tolerant, pest free and not favored by our local deer population. To brighten up those dreary winter days try Hellebores in your garden.